“Even if conventional medicine tells you that your condition is incurable or that your only option is to live a life dependent on drugs with troublesome side effects, there is hope for improving or reversing your condition.” -Leon Chaitow, N.D., D.O. Withania somnifera, known as ginseng or ashwagandha (अश्वगंधा), is a shrub cultivated in India and North America whose roots have been used for thousands of years by Ayurvedic practitioners. Withania somnifera root contains flavonoids. Several studies over the past few years have looked into the role of withania somnifera in having anti-inflammatory, anti-tumor, anti-stress, antioxidant, mind boosting, immune-enhancing, and rejuvenating properties. The main active constituents are alkaloids and steroidal lactones. These include tropine and cuscohygrine. Historically, the plant has been used as a liver tonic, anti-inflammatory agent, astringent, and more recently to treat bronchitis, asthma, ulcers, emaciation, insomnia, and senile dementia. 1) Osteoarthritis: During a study in 2008, scientists tested ashwagandha’s effects on human cartilage and found that the herb may help protect against inflammation and cartilage damage associated with osteoarthritis. 2) Anxiety: In an animal-based study published in 2000, researchers found that ashwagandha had an anti-anxiety effect similar to that of lorazepam (a medication used to treat anxiety disorders). The herb also appeared to ease depression. 3) Type 2 Diabetes: Ashwagandha may help normalize high blood sugar and improve insulin sensitivity, according to preliminary, animal-based research published in 2008. 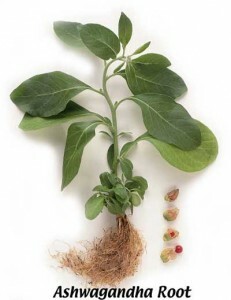 4) Cancer: In a 2003 study, tests on human tumor cell lines revealed that ashwagandha slows the growth of lung, breast, and colon cancer cells. Published in 2007, another study on human cells shows that ashwagandha may inhibit tumor growth without harming normal cells. 5) Anti-Oxidant: Ashwagandha is used as an anti-oxidant, as studies show that it can eliminate free radicals from your immune system. Free radicals are the agents that cause the breakdown of your body’s tissue, alternatively known as aging. 6) Provide Energy: Studies show that supplementing with ashwagandha can provide the required energy to get through long workouts while also allowing for maximum recovery and cell re-growth. This miraculous root has several other health benefits to offer which can help improve or reverse any health ailment that you’re trying to fight. Really, the article is useful for the layman, at least we can understand the properties of every tree. I would like to how to make a use of that, as a home remedy and would like to know about ‘Kadamba’ tree from fruits to all parts of tree and how it would be use?